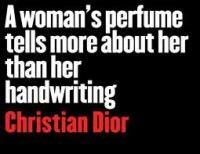 There are certainly benefits to wearing an excellent perfume! If you begin using a particular fragrance, people start recognizing you with that perfume smell. It becomes a signature of the person who wears it regularly so socially it helps establish an identity. It’s believed that some perfumes have a stimulating effect on the brain neurons. These are those perfumes which contain ingredients like rose, ginger and sandalwood. This in turn assists in many daily responsibilities. Relaxation of the mood is also believed to be achieved by wearing a good perfume. This calming affect comes from aldehyde's which is present in some perfumes. Citronella and Eucalyptus are perfume oils which have this effect. There are other scents which can act as a sedative form which aids restful sleep lessens anxiety and nervousness and all of this in turn generate benefits for health. Bergamot and lavender are included amongst these series which have been in use across the world.